Welcome students! This week’s class in on a Saturday because Ellie and Edmond are going to see a puppet show about weather and report back tomorrow! Science and weather are so fun to learn about! An Invertebrate is an animal without a backbone. There are more invertebrates than vertebrates on the planet. 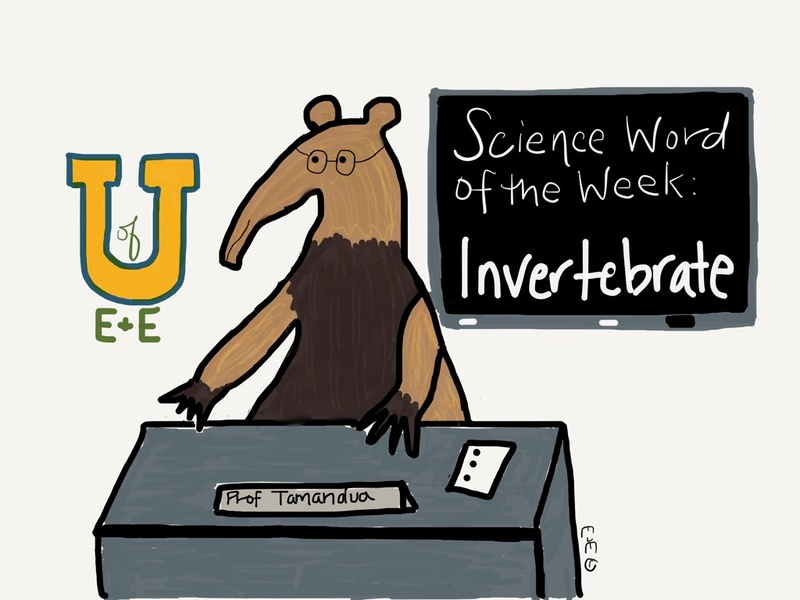 Invertebrates are cold-blooded. Sometimes they have an exoskeleton, sometimes they don’t. They include insects, cnidarians (jellies, coral), cephalopods (octopus, squid) and sponges. Whew! Those invertebrates sure come in all shapes and sizes! Amazing!! 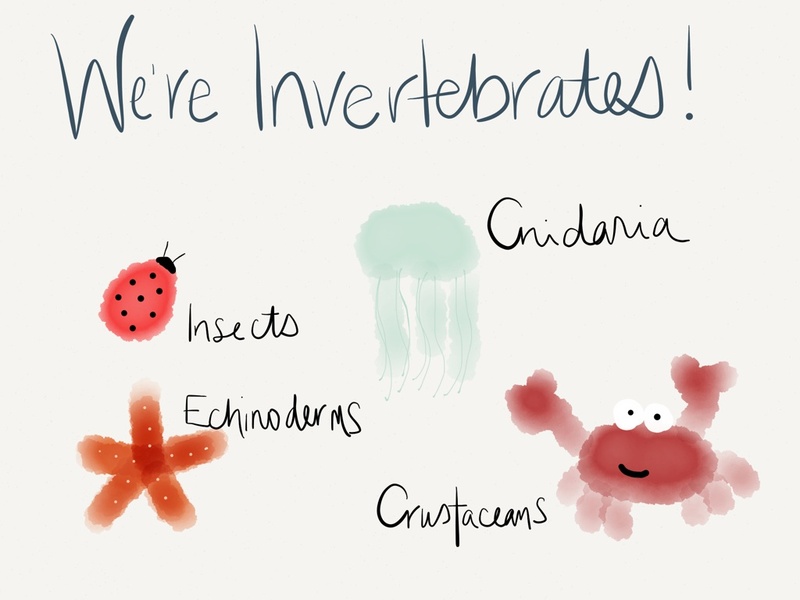 Do you have a favorite invertebrate?